Our most popular thermometer. Over 7000 sold last year. Fits flat in your shirt pocket and stands up to constant use. °C/°F switchable. Tapered tip for faster response. -58°F to 300°F, -50°C to 150°C. 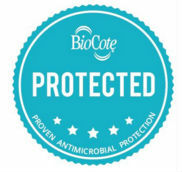 BioCote is a silver based anti-microbial agent that is impregnated into the instrument case during moulding which effectively inhibits the function, growth and reproduction of a wide range of micro-organisms. Helps reduce cross-contamination. The industry’s fastest pocket digital thermometer is now WATERPROOF and meets FDA guidelines to test thin foods with a 1.5mm tip! NSF listed- A favorite of the health department. Great for Grilling! Never overcook meat again. 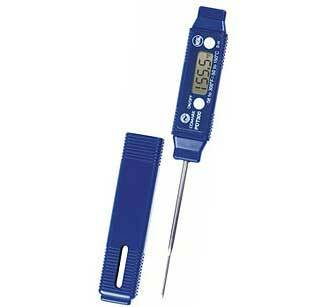 I've used many thermometers in my 20 plus years as a chef, and this one has held up to daily beating and dropping. It's really the best though because it has a 3 to 6 second response time, it fits in the chefs sleeve pocket, and it has great accuracy at plus/minus 2 degrees f. And it's waterproof. Nice. Small digital thermometer I use for meat temperatures. Already had one of these for our summer cottage. Was so impressed with it, we bought another for our primary home. 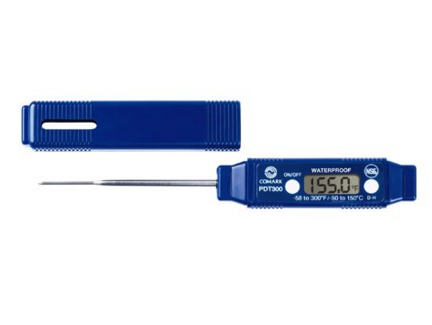 Great little instant read cooking thermometer. And this vendor had the lowest price we could find. Terrific value. great service and I use the PDT300 every time I grill,fry,& roast. One of the best Thermometers I have ever used. Super-fast, small, accurate, and calibratable. I also have the Comark PDQ400, which is about the same and, if I only needed one thermometer, I would opt for the PDQ400 due to the higher accuracy. However, I have used both thermometers at the same time and they come up with the same readings; try that with an analog thermometer! I heard after my purchase Comark is owned by Fluke, which the name is synonymous with high quality. Highly recommend! 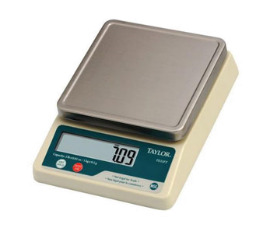 Taylor Digital Portion Control Scale TE32FT, 2 Lb. x 0.01 Oz. 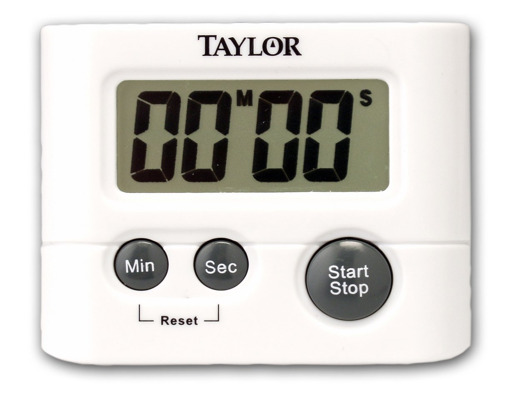 Taylor Digital Portion Control Scale TE10FT, 11 Lb. x 0.1 Oz.